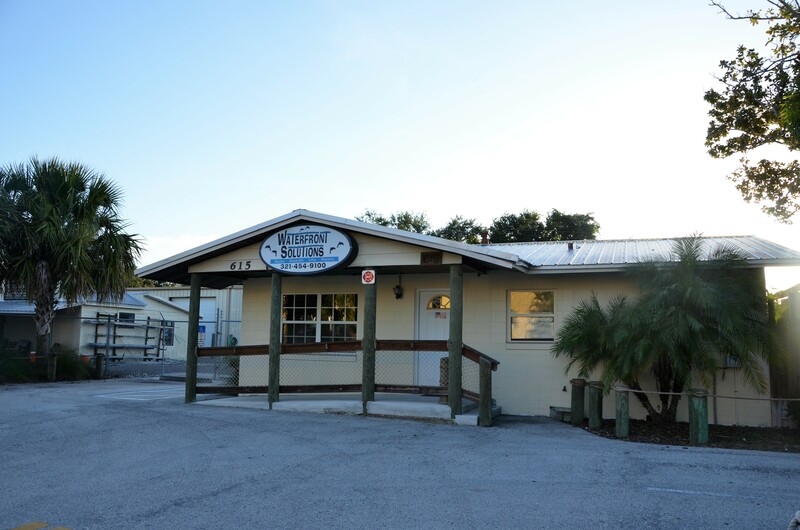 Waterfront Solutions is one of the few marine contractors with our own lumber yard, ensuring the lowest prices and highest quality building materials for our customers. 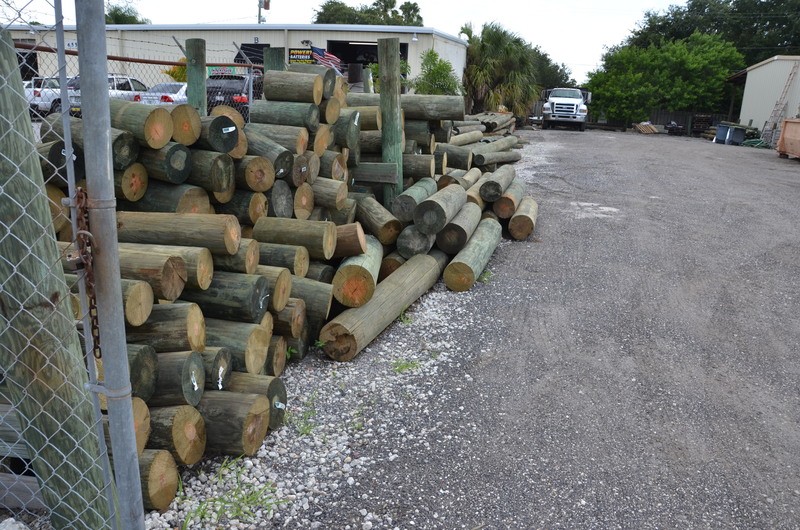 One of the most popular outdoor building materials is pressure-treated Southern Pine. Its unique cellular structure allows it to accept preservative treatment better than any other species, resulting in a strong, durable wood that will stand the test of time. Southern Pine is a beautiful choice too, the only building product made by Mother Nature. Pressure-treated Southern Pine is safe for use around family and pets, too. Scientific tests prove that the preservatives used in pressure-treated wood pose no measurable risk to people or animals. Southern Pine is a truly renewable resource: the trees come from healthy, flourishing managed forests, where many trees are planted for each one used. Sustainable forestry practices ensure that Southern Pine forests will be around for centuries to come. The energy used to produce Southern Pine lumber is much less than for other building product options, and the renewability of wood helps safeguard and improve the earth. Unlike traditional decking material, composite decking is made from wood fibers and other recycled plastic materials. The biggest reason homeowners often choose composite decking over traditional wood is the ease in which the deck has to be maintained. Composites will not warp or rot due to harsh weather, is splinter-free. Traditional decking needs to be re-stained and sealed on a frequent basis. 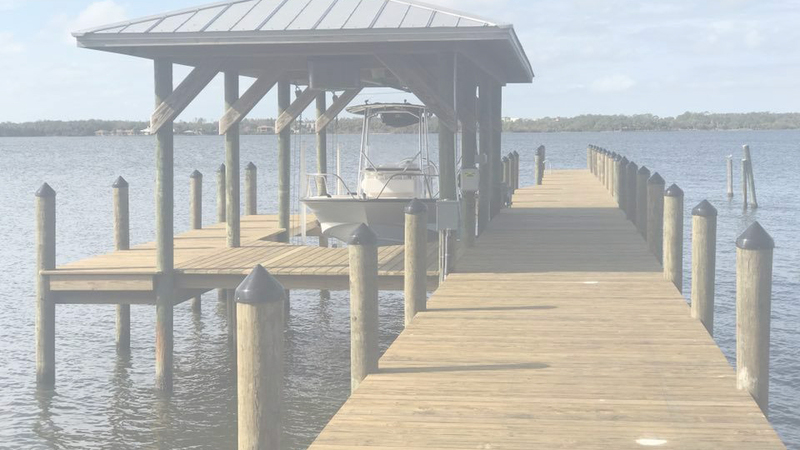 Composite decking, however, lasts much longer with absolutely no refinishing (Protection from mold and regular cleaning, however, is still required.). 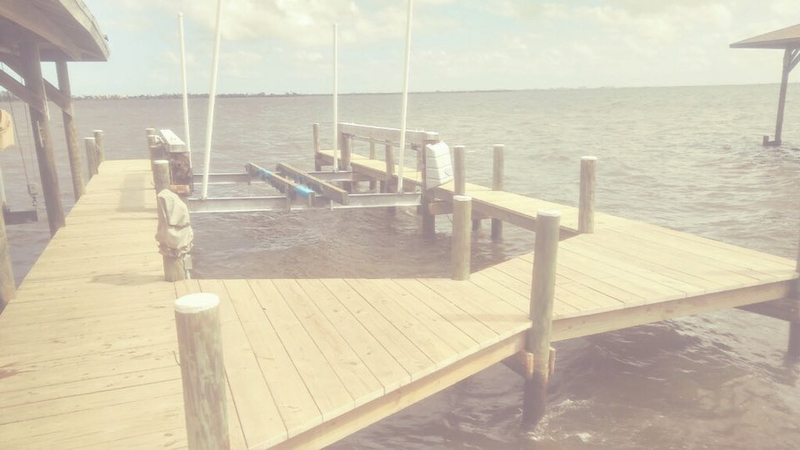 Keep in mind composite materials themselves are not sturdy enough to hold the entire size and weight of a dock. 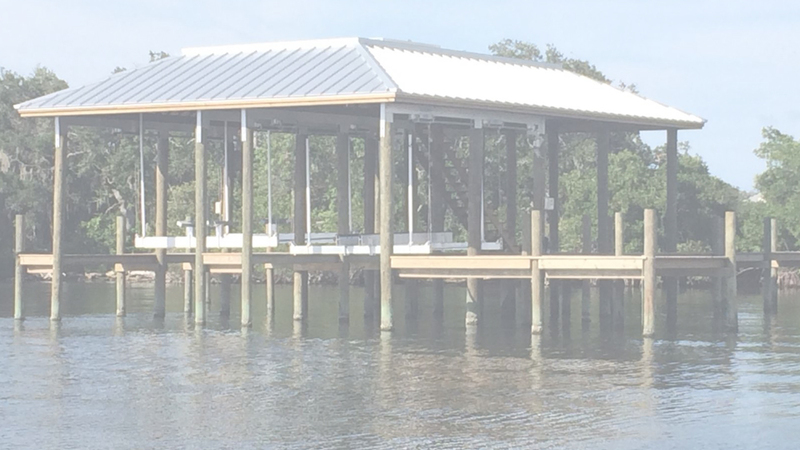 Thus, the undercarriage of your dock will still be made of marine treated lumber. 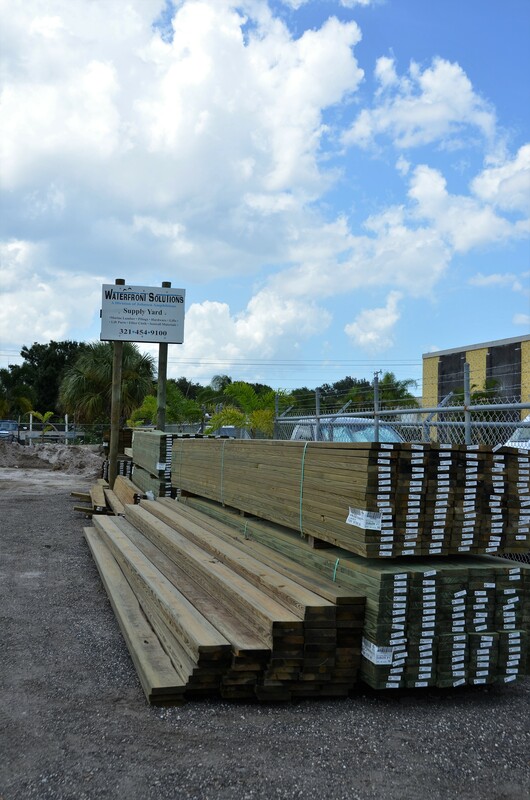 Composite decking can initially cost about three times the price of pressure treated lumber. However, the most important detail for a homeowner to consider is the price over the long haul. Spending more now for a deck that will not require the costs of resealing, sanding, or maintaining truly saves you time and money later. Our composites don’t use raw materials – They use recycled and reclaimed plastic and wood fibers that would otherwise go unused in landfills. Composites do not contain chemicals found in some pressure-treated wood products. When burned, our composites are no more toxic than wood. Composites are safe for little bare feet and pets.